A Sheffield business has collected tens of shoeboxes filled with Christmas gifts to help under-privileged children around the world. 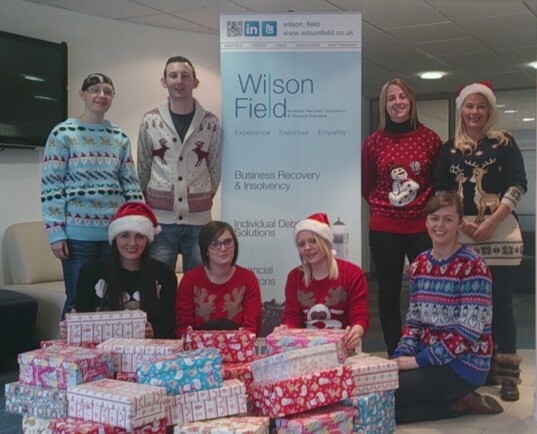 Staff at business recovery and insolvency specialist Wilson Field, based on Ecclesall Road South, have collated the boxes as part of Operation Christmas Child. The project is the world’s largest children’s Christmas initiative, run by the Christian charity Samaritan’s Purse, sending gift-filled shoeboxes to more than 100 million underprivileged children around the world. Last year, children and adults from across the UK got involved – including many churches, schools and workplaces – sending nearly one million shoeboxes full of gifts to disadvantaged children in Africa, Eastern Europe and Central Asia. Gifts inside the shoeboxes include toys, educational items, hygiene products, such as toothbrushes and hairbrushes, along with sweets, gloves, hats and necklaces. Shoeboxes are currently being delivered to several locations across Sheffield during November before they are sent on to the children in time for Christmas. “Throughout the year we organise a variety of activities which staff can get involved with to support a worthy cause. One of the country’s premier business turnaround and insolvency specialists, Wilson Field provides complete business recovery, insolvency and personal debt solutions to businesses and individuals across the UK. For more information on Operation Christmas Child, visit www.operationchristmaschild.org.uk.